We all want to be ethical, but even more we want to be wise - to know what is the right thing to do when there are several options, all of which are good. This is the heart of wisdom: the ability to know how to respond in difficult situations; to know when to speak and when to be silent; when to think short-term and when to think long-term; who to marry and befriend and invest with. And wisdom comes, Keller argues, from knowing oneself, knowing the times and seasons, and knowing God and his ways. In this profound yet practical book, New York pastor Tim Keller mines the Bible for its wisdom, and shows us how to apply it to our everyday lives. 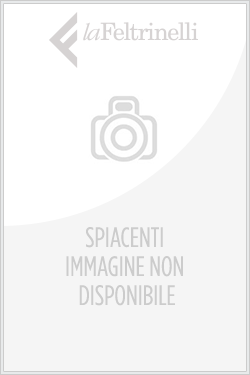 Acquista Untitled in Epub: dopo aver letto l’ebook Untitled di Timothy Keller ti invitiamo a lasciarci una Recensione qui sotto: sarà utile agli utenti che non abbiano ancora letto questo libro e che vogliano avere delle opinioni altrui. L’opinione su di un libro è molto soggettiva e per questo leggere eventuali recensioni negative non ci dovrà frenare dall’acquisto, anzi dovrà spingerci ad acquistare il libro in fretta per poter dire la nostra ed eventualmente smentire quanto commentato da altri, contribuendo ad arricchire più possibile i commenti e dare sempre più spunti di confronto al pubblico online.